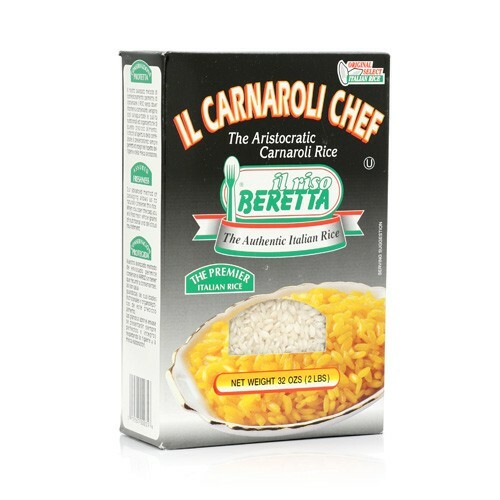 Carnaroli rice, similar to Arborio rice, is the traditional Italian rice used in risottos. While Arborio rice is slightly more popular as the rice of choice for risotto, carnaroli is the type preferred by most chefs. It is a starchy rice that is slightly longer and can hold its shape slightly better than Arborio. Il Riso Beretta is the brand of choice for Carnarolo.